Alexander Rose Turnberry 5ft Cornis Bench high quality FSC wood (100%) outdoor garden seat providing a welcomed bench in any garden location. 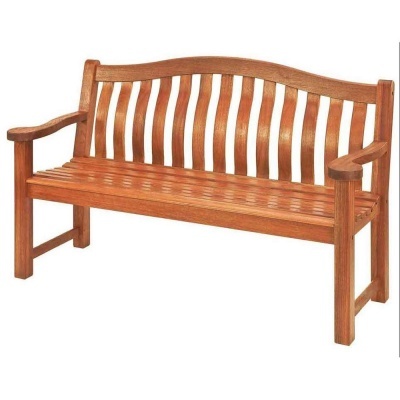 Alexander Rose quality bench made using Cornis due to it's dense, closely garined hardwood, which has been oiled, giving each section a smooth reddish brown finish. 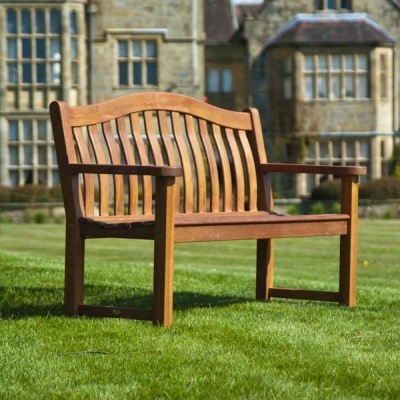 The Turnberry Bench has been designed with curved back design for maximum height for taller people, and for comfort and strength, each section treated for long lasting outdoor use. 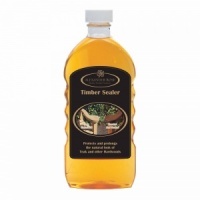 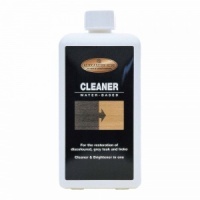 Protected with a material warranty of 3 years, and an expected durability of 10 years.